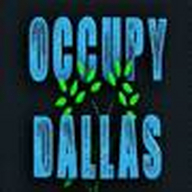 New Ad-free Occupy Dallas channel. This will be a PEACEFUL protest, we must unite as ONE, and make the government work for us...we will no longer be slaves to the government, put all fear aside and UNITE.. ...we are the 99%! This event will last as long as it needs to last...until we see the CHANGE this country NEEDS!